Brilliant, pure and pale in colour, the bouquet of this wine requires careful attention because there are so many notes on offer. 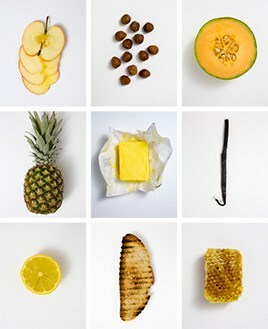 There is a magical weight from the start and the same intense volume of fruit is maintained all the way through. This is a wine of extraordinary length, with waves of fruit returning again and again to complement the mineral acidity. Picking began on 20th September, earlier than many Cote d’Or estates, and most grapes were brought in quickly before the rain at the end of the week. It was necessary to sort the grapes by hand to remove botrytis from the later picked vineyards, but the resulting range is not only exceptionally powerful but also very pure. Yields are very substantially reduced here (where they are always low in any case) so prices have risen a little. 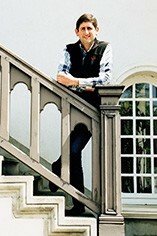 Didier Séguier thinks that 2010 is a truly great Chablis vintage for the long term. The Wine Advocate - The 2010 Chablis Les Clos is all about understatement and balance. White floral notes meld into white stone fruit in this utterly gracious Chablis. Clos can at times be fleeting and elusive, and there is certainly some of that in the 2010. Still, it is impossible to miss the wines textural finesse and sheer overall balance. I will not be surprised if the 2010 continues to get better in bottle. Anticipated maturity: 2014+. 2010 Chablis – Les Clos: (from 4 separate parcels totaling 4.11 ha, 3 of which are all at the top of the slope). An exceptionally fresh and intensely floral nose also offers up notes of lime, lemon, stone and iodine, all of which can also be found on the massively rich, concentrated and big-bodied flavors that are breathtakingly powerful and intense, all wrapped in a palate drenching and extraordinarily long finish. As impressive as all of these characteristics are, it’s the sheer depth of underlying material that is almost hard to believe. Like the Preuses and the Valmur, this is a ‘wow’ wine that should develop for at least a decade though because of all of the dry extract, it will be approachable much sooner. 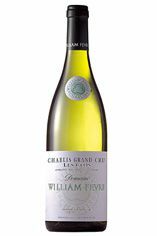 William Fèvre is one of Chablis’ greatest wine domaines, developed by the eponymous William Fèvre between 1957 and his retirement in 1998 when he sold to the Champagne House Joseph Henriot. William Fèvre began with just 7 hectares and had soon increased this to 48ha, planting widely in the best of the 1ers and grands crus where the vineyards had fallen by the wayside. However the Fèvre penchant for new oak was not to everybody’s taste. Since the Henriot purchase the wines are made by the talented Didier Séguier who had previously been with the Bouchard team in Beaune. The domaine wines include 12 hectares of premier cru vineyards and no less than 16 hectares of grand crus.The whole crop of their domaine wines, straight Chablis included, is harvested by hand, the grands crus in small ‘cagettes’, with a sorting table back at the winery to ensure the quality of the raw material. The 1er cru wines are vinified in 40-50% oak, the grands crus receiving 70-80%, but without using new wood – instead the domaine receives a plentiful supply of one year old barrels from Maison Bouchard, and the average age of wood in the cellars is 5 years old. The barrel and vat components are blended together after four to six months, for bottling before the end of the year. In 1991 he joined forces with the Chilean producer Victor Pino and Vina William Fèvre was established in the heart of the Maipo Valley just outside Santiago. These are the biggest, richest and most complex Chablis, which cover a total of 100 hectares – just two percent of the appellation. At their best, they can match the quality of a Grand Cru Chardonnay from the Côte d’Or, yet often at half the price. They may lack their southern neighbour’s opulence, but they share the latter’s intensity and have a nervy minerality that set them apart. Inexpressive in youth, they should ideally be aged for 10 years, and can mature for up to 30 years. Styles vary according to producer, with some maturing and fermenting in stainless steel while others use barrels, sometimes even new oak. All seven Grands Crus are grouped together on a single south-west-facing hill just north of the town. La Moutonne is an unofficial eighth Grand Cru straddling Les Preuses and Vaudésir, and is allowed to use the name on its label. The rich, fine Les Clos and the intense, spicy Vaudésir are generally considered to be the best, and are certainly the most full-bodied. The delicate Blanchots and the racy Grenouilles are the most aromatic, while Les Preuses is full, complex and the least minerally. Valmur is fragrant, rich and smooth while La Moutonne is elegant and incredibly expressive. The vibrant Bougros tends to be the junior member of the group, but in the right hands can also be very good. Recommended producers: Billaud-Simon, Duplessis, J.-P. & Benoit Droin.